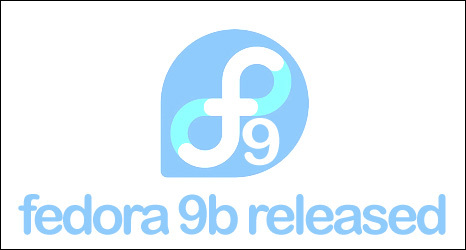 The Fedora 9 Beta (nicknamed Sulphur) was released yesterday and the final release is expected on April 29. You can read the official release here. The latest version of the free (yeah, free as in beer…) cousin of Red Hat Linux comes with a number of major updates, including support for the latest versions of the KDE and GNOME desktop environments (Yay! Shiny!). Here’s a quick rundown of what you’ll be seeing in this release and some of the major changes you’ll find. You can download the beta here: fedoraproject.org. GNOME 2.22 brings many improvements, not least of which is the introduction of GVFS and GIO as a replacement for GNOME VFS. GVFS introduces many benefits including performance improvements, queuing multiple file transfers, and security enhancements via PolicyKit, which was first introduced in Fedora 8. Another great feature is the new Gnome Display Manager. It is a significant change from the previous GDM, enabling many new and exciting features. These features include the ability to take advantage of power management at the login screen, the ability to dynamically configure displays, potential improvements for “hot-seating,” and better integration with PolicyKit. In GNOME, sharing files via Bluetooth has been better integrated into the desktop, rather than relying on several separate applications. Palm Pilots can also now be synchronised using Bluetooth. Totem, among other improvements, now has better text subtitles support, a YouTube search plugin, and a MythTV plugin. Rhythmbox is now the default CD player, and has UPNP support as well as better Podcast support (Atom feeds and iTunes podcasts). A number of bugs have been fixed in the sound recorder, making it solid enough to be included in Fedora 9. KDE Desktop 4.0.2 features upgrades to core components such as the port to Qt 4. It also introduces a number of brand new frameworks such as the Phonon, a multimedia API; Solid, a hardware integration framework; Plasma, a re-written desktop and panel with many new concepts; integrated desktop search; compositing as a feature of KWin; and a brand new visual style called Oxygen. Thanks to the hard work of the Fedora KDE Special Interest Group, KDE 4.0 is well integrated in Fedora. As a result, KDE 4.0 is the default for the KDE spin of Fedora, and includes compatibility packages to ensure that applications not yet ported to KDE 4 will continue to work. Firefox 3 Beta 5 brings a number of major improvements including a native look and feel, desktop integration, the new Places replacement for bookmarks, and a re-worked address bar. It’s the default browser for Fedora 9 Beta. Thanks to swfdec changing to a GStreamer backend, Fedora can now ship a free software flash browser plugin available out of the box. 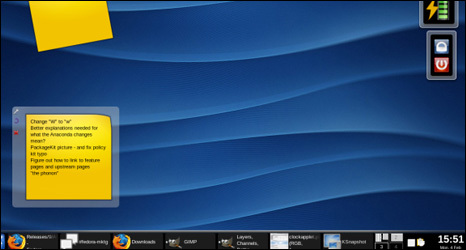 It is capable of playing many flash content including videos, animation and games. 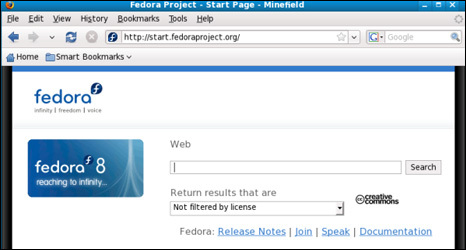 Note that Fedora only includes patent unencumbered free software components. DejaVu full replaces DejaVu LGC as default font set. DejaVu LGC is still available in the repo for users who prefer it. DejaVu and Liberation updated to new versions with more coverage.